Watch this space for announcements and ticket information for the 2019 Opera Canada Awards. 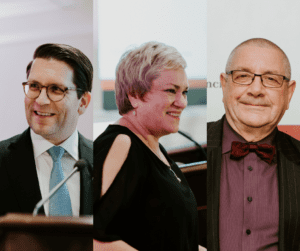 The Opera Canada Awards Committee is composed of both representatives of Opera Canada Magazine and leading opera professionals from across Canada. Rachel Andrist and Joyce El-Khoury.